This is a medium large size CC/BBb tuba mouthpiece that fills the gap between the Bayamo and the Williwaw. This mouthpiece is great for those who like the Sound of the Bayamo, but want a smaller rim diameter that is easier to control. The Taku is darker sounding than the Williwaw. 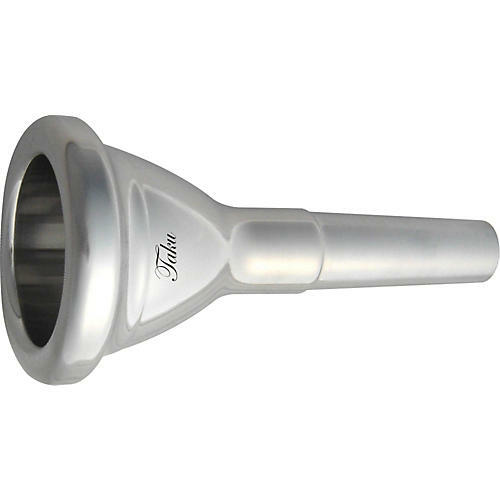 The Taku is great for general playing in all ensembles highly recommended as a popular choice for individuals looking for a mouthpiece that can do it all, this mouthpiece projects a warm tuba tone that balances a strong trombone section. Rim is 1.28 and the throat is .325" diameter, deep funnel shape cup.